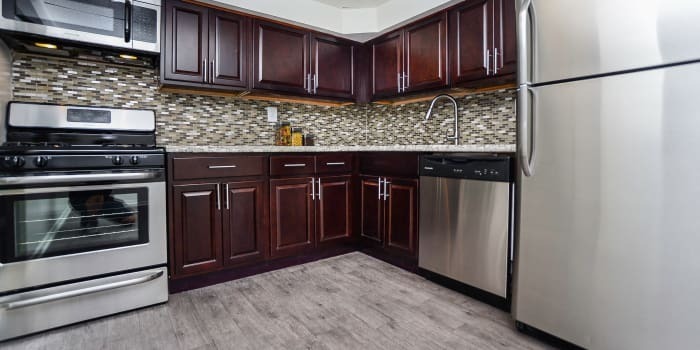 Inside our one, two, and three bedroom apartments and one, two, and three bedroom townhomes you'll find features like spacious kitchens, jack & jill bathrooms, energy efficient appliances, and an inviting breakfast bar. Apartments and townhomes offer the features you’re looking for to live the lifestyle you want. Generous closets, a private patio or balcony, and full-size kitchens provide the space to feel comfortable and at home. Available features include upgraded appliances, sleek granite countertops, designer backsplash, and new cabinets. Every apartment and townhome is wired and ready for high-speed internet and cable. 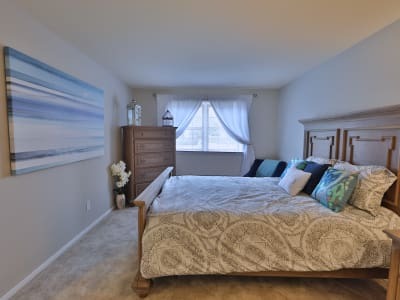 Click through our many floor plans to find the one that suits you best, then arrange a visit to The Village of Chartleytowne Apartment & Townhomes in Reisterstown, MD. We’ll be delighted to give you the full tour.